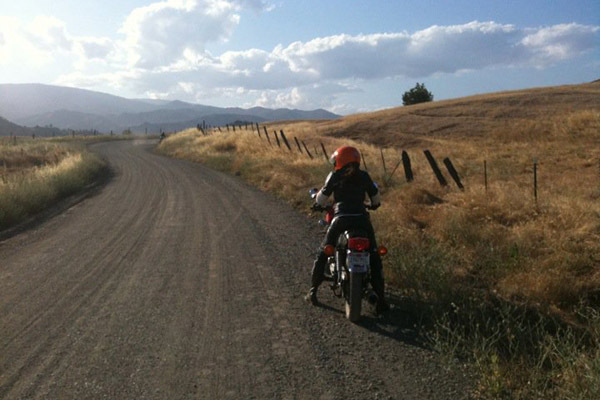 This past June 24, with motorcycles on tow, ESMB headed to San Francisco for Moto Melée XIV. 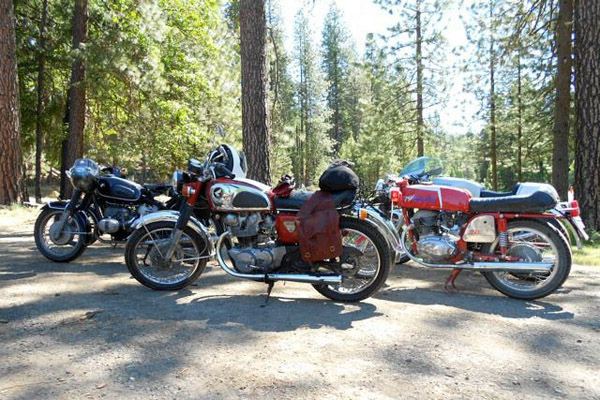 The Moto Melée is a three-day, ~850 miles ride for pre-1971 motorcycles with a start/finish in San Francisco. 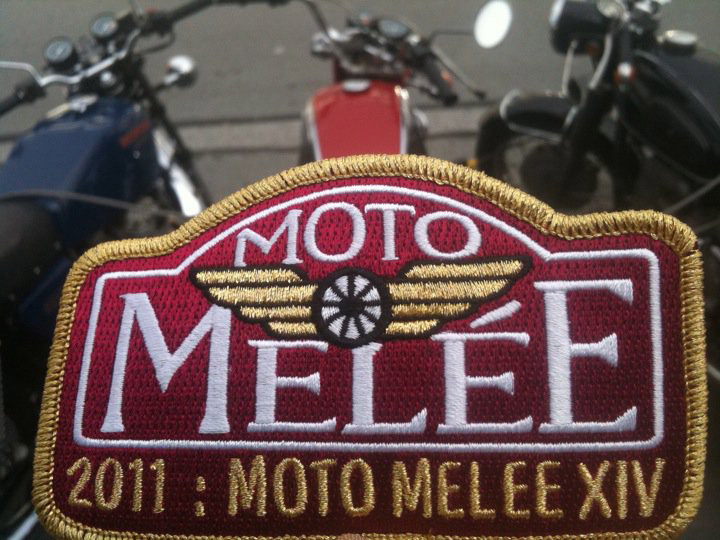 The Moto Melée was established in 1998 by ESMB friends Jeff Guzaitis and Harley Welch. 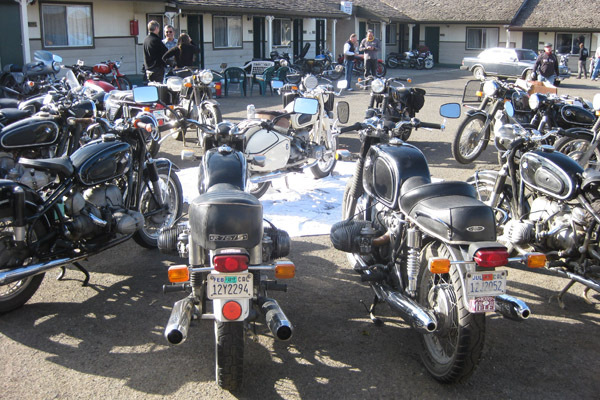 We arrived in San Francisco late afternoon Friday, dined at Zeitgeist; a San Francisco pub with great burgers, pool tables, and a beer garden; and ended our evening at The San Francisco Motorcycle Club, the second oldest motorcycle club in the United States, for Chug-A-Lug meet and greet. 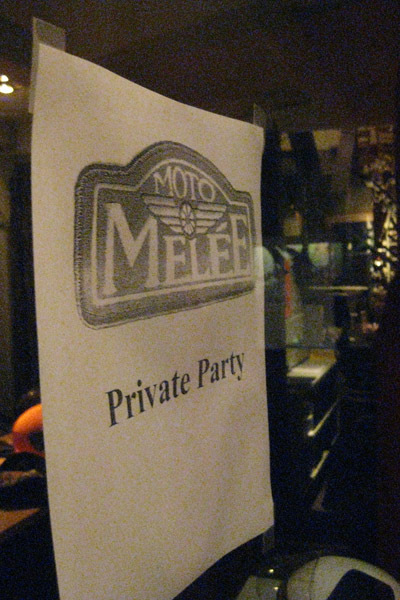 We met old friends, made new ones, and picked up our Moto Melée packages before heading home to prepare for our Saturday departure. After waiting almost a year The Melée had finally arrived! At 8 am, after loading up gear, attending the 80 riders' meet-up and picking up route map the first day started. 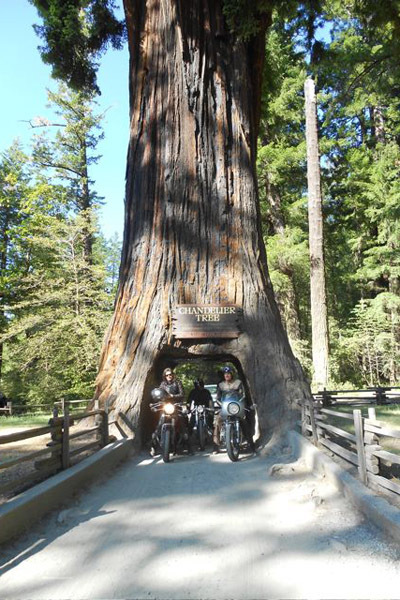 We rode over the San Francisco Bay Bridge, Clearlake, Ladoga, Stony Ford, Paskenta. 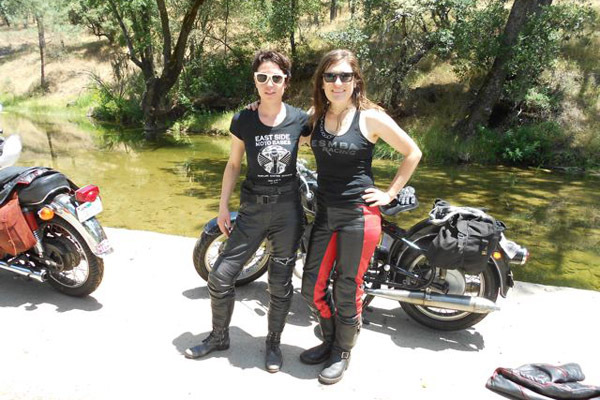 Lots of small winding roads, some water crossings, canyons, Lake Berryessa, Main Street Cafe in Clearlake for lunch. The afternoon brought dirt and gravel roads, beautiful scenic views, and an end of the day poolside in Red Bluff. Dinner, dancing, and good company were a perfect ending to our first Melée XIV day. Day 2 started early with brake checking, oil tapping, gas filling. 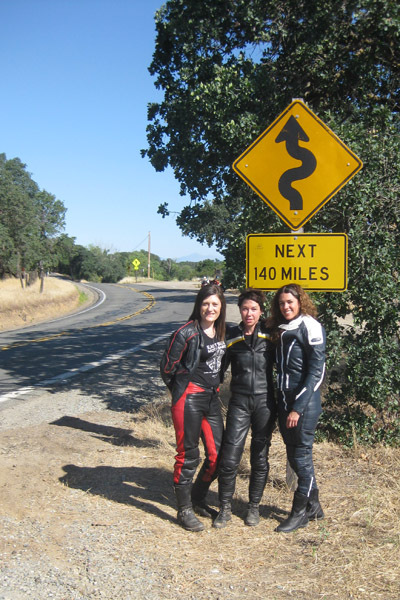 We were heading to Fort Bragg through famous highway 36 with 140 miles of twisties. Breakfast in Wildwood, continued through Wildwood pine forest, then majestic Sequoia Forest, canopies of arching oaks, hitting the coast thru Humboldt into Mendocino along Highway 1, finally landing in Fort Bragg. It was a challenging, amazing day; bumpy, twisty, gravelly. Our Melee host were awaiting at the Hotel with room keys, locally brew beer and great company. We dined, shoot pool, played shuffleboard, and enjoyed the evening with great company. Day 3, return to San Francisco! Rode through Boonville, Point Arena into Sonoma, went through Stewarts Point, Healdsburg, around Bodega Bay, then to Highway 1 through vineyards and Petaluma. We finalized the day crossing the San Francisco Bay Bridge in traditional foggy San Francisco weather to arrived at the awards dinner. 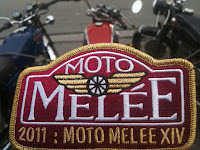 The Moto Melee XIV was a great experience and we are already planning and looking forward to next year! Last time I tried to leave a comment it wouldn't go...seems to work now. Saw all the pics from this run through a link at "Auld Kawas an Stuff" blog out of Scotland. Looks like a real cool ride. I've got an old 4-speed 450, I might have ready to go for next year.Couldn't get it together in time for this year. Looks like you have some fun moto stuff going on. 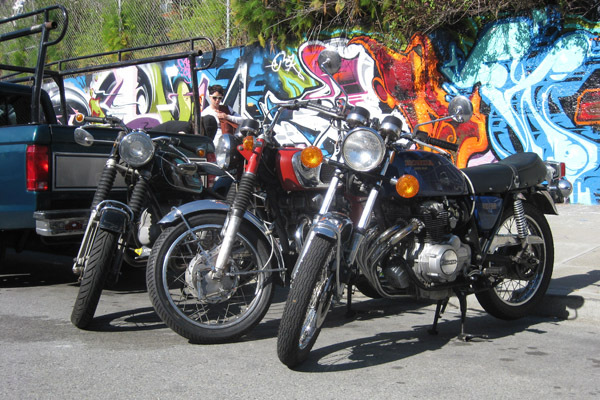 I'm sitting here turning green with envy gazing at all of those vintage R69's... I love my '73 R/75 but can't wait to work my way into one of these true classics! Great blog & congrats to you ladies who are holdin' it down, keeping it real and furthering the sport for all to enjoy! What is the phone number of your organization's president? I am a filmmaker and want to do a short film on your club. Please email me back at kevinwolf@mac.com. Thanks!